My sweet friend, Paulina, messaged me a couple days ago and asked how I stored my jewelry. I thought it would make a great blog post, especially since it's basically all over the place and gives me an excuse to photograph something other than myself. I've collected so much jewelry over the years that it's literally everywhere. I like to keep it all in plain sight because if I can't see it, I will totally forget about it. 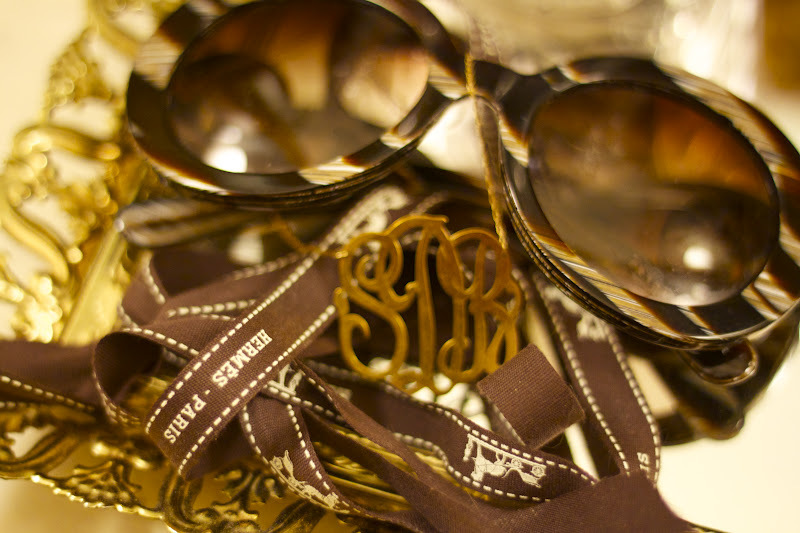 The things I wear most often are on my vanity. I have an older home that has vanities built into all the bedrooms, including the master. It's my pretty space and I've filled it with all my favorite things. I've picked up cute bowls, and other odds and ends from antique malls and thrift stores which have since become places for my jewelry to rest. 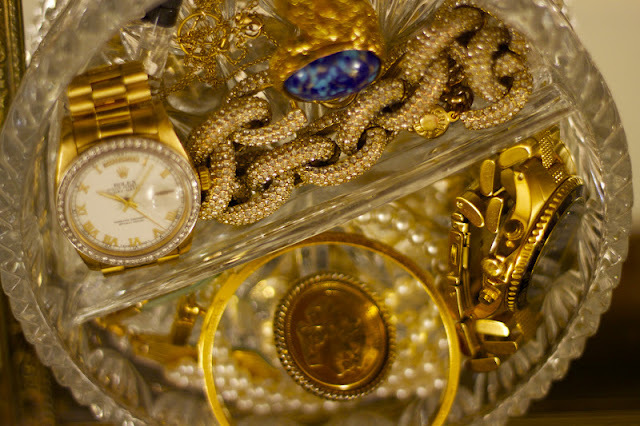 The things I wear everyday and are closest to my heart, my watch, monogram necklace, pave link and vintage Hermes bracelets, and the couple rings I rotate, are all on in a crystal ashtray alongside my makeup brushes. Other pieces that are worn less seldom have been placed in bowls and a damask print tray within one of the drawers. 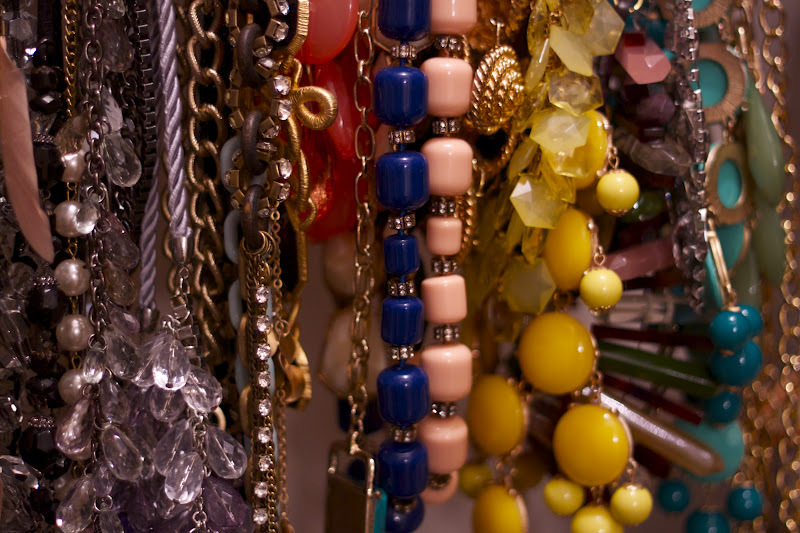 My necklaces hang in what I like to call my "accessory closet" which also houses all of my bags and shoes. 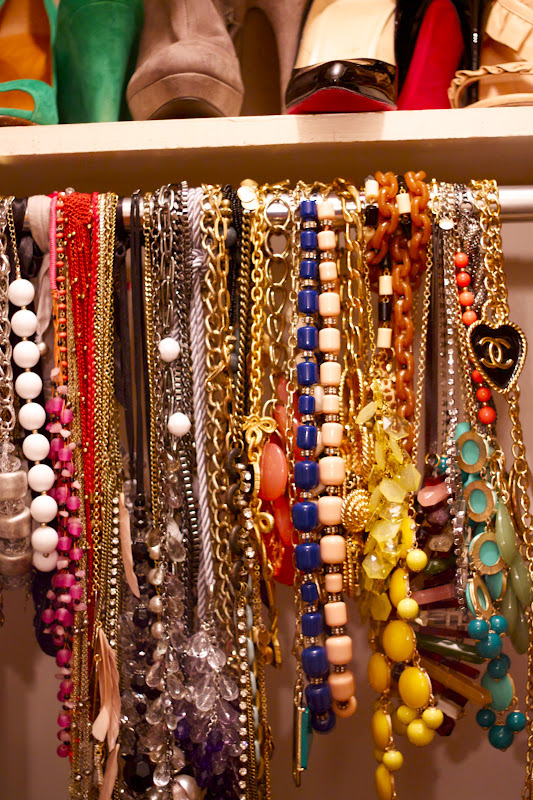 It seems a little messy, but it's the best solution I can come up with in order to see my necklaces. When I am getting dressed, I will take either a top of bottom and run it up against the opposite to see what looks good. 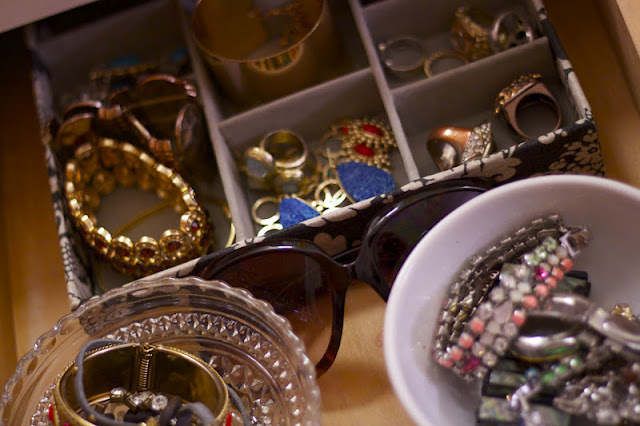 When I am feeling like I need to mix things up with my jewelry selection, I do the same thing. I generally wear the same jewelry, but will sometimes switch up a ring or a necklace to bring a little something extra to an outfit. How do you guys store your jewelry? I'd love to see a better way! 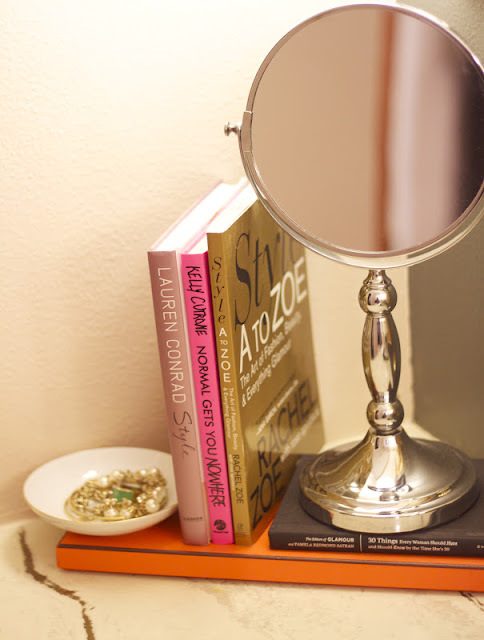 Love the way you display your jewelry! 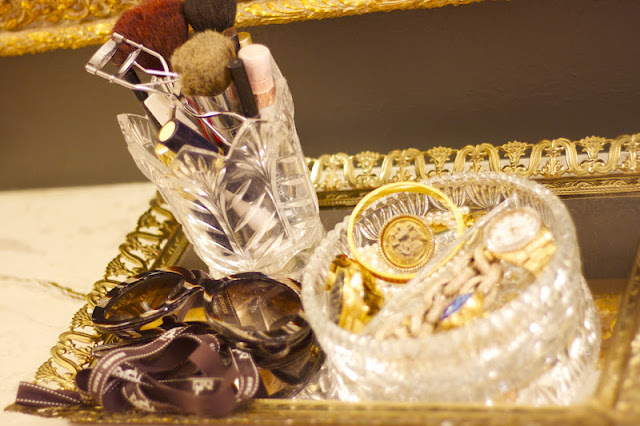 I display mine similarly in silver bowls and on silver trays. I also have a very tall jewelery case to store a lot of my pieces!